Our skel trailers suit 20’ and 40’ shipping containers with a large range of length and load capacities to suit specific applications. Tare weights start from 3.9 tonnes. To view skel trailers we have in stock, see our For Sale page. Or to discuss an engineering requirement, please use the contact form on this page. 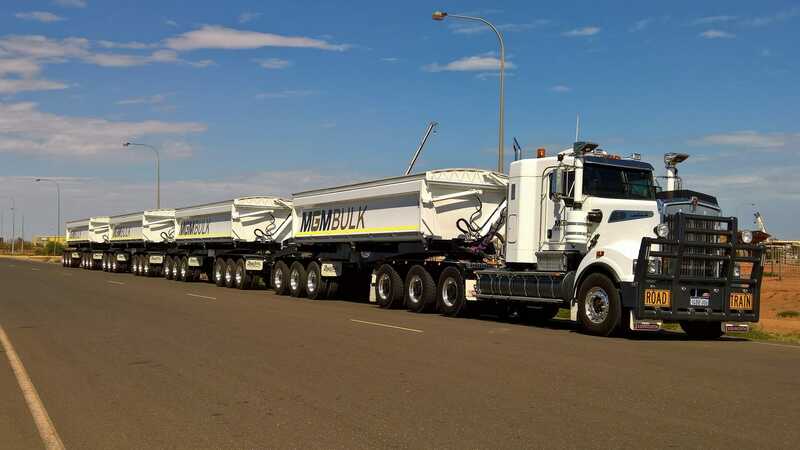 Our high strength light-weight 20’ skel trailer is specifically designed for 20’ half-height containers and is capable of a legal load of 40.0 tonne, which is now being used in the mining sector to carry processed ore concentrates to port. Also available in our range are drop deck skels, low profile dog trailers and tippling skels with options of cross augers and self-contained power packs. Skel trailers are available with different combinations of equipment such as spring or air-bag suspension, drum or disc brake axles and Alcoa aluminium wheels. WABCO EBS braking is a standard feature for all our trailer products.